Jut to mention it, my OS is Ubuntu 12.04 64 bit, and I already had installed Oracle's propietary Java JDK (packages named oracle-java7-installer and oracle-java7-set-default) to ensure maximum compatibility. Once you download and uncompress Android's SDK, when you select processing's android mode (clicking on the top-right test that normally says "standard") it will ask you for that SDK location. After selecting the folder containing the SDK, processing automatically creates a virtual machine in the Android Virtual Device Manager. You can access the manager through processing's menu entry "Android->Android AVD Manager" that is available only in android mode. This will start the ADM, where you can choose the virtual machine and press start to run the emulator. One important step I had to do in order to be able to run the sketches using the Android emulator (istead of always running it on the cell phone) is to add a line to processing's configuration file that, in Ubuntu, is located in : /home/YOURUSER/.processing/preferences.txt (see this topic) I had to edit this file an add the line: android.emulator.port = 5554 (the port number appears in the window name of the virtual machine once you start it). When you want to use some of your Adroid device's hardware you have to enable the corresponding permision for your sketch in processing's "Android->Stetch Permissions" menu option. In our case we want to use the audio recording hardware, so we enable the "RECORD AUDIO" option. Two important hints to use the Android API recorder with both the device and the emulator is that the emulator does not provide a right minimum recording buffer number when requested, so when you use the emulator you have to set the buffer size manually, and it has to be a power of two. The other hint is that the only samplerate you can use with the emulator is 8000. There are also certain combinations of samplerates and buffer sizes that don't work well and make the app crash in the emulator and or the phone with the message "The application application_name (process processing.test.application_name) has stopped unexpectedly. Please try again". Speaking about crashes, after struggling with the emulator, to avoid problems I really recomend not to start it from the snapshot, but rather boot every time the virtual machine from the begining. And every time you make the application crash: restart the virtual machine again. When you run your audio recording sketch in the emulator, if you see there is no correspondence between the sound you make and the audio shown in the emulator, you may be getting confused by the huge delay of the signal. In my laptop it takes about 45 seconds to see the response to certain sound in the emulator. After a while (2 or 3 minutes) the emulator catches up and you see the response has less delay. There are also java libraries that implement the forward Fast Fourier Transform (FFT), like jtransforms, jfftpack, and a discussion about them. But finally I decided to adapt the minim analysis code for our purposes, so I could also use the same syntax and recycle some interesting audio analysis and visualization examples for processing. I put all this together and finally made a working app that shows the main frequency (pitch) of the audio captured by the device's microphone. You can download the code and the apk application from the GitHub repository. After some minor corrections I've managed to make this work in my Nexus 4, compiling the sketch with the app: APDE - Android Processing IDE. After installing APDE, just create a new folder called "android_fft_minim" in the sd card's "Sketchbook" folder and copy all the repo's files there. 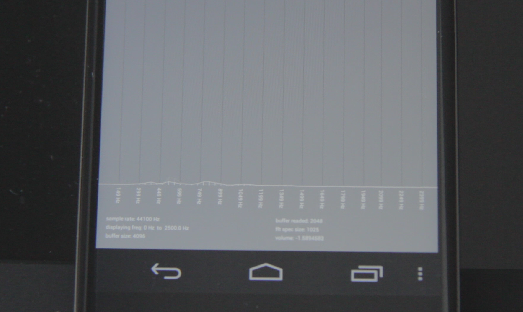 Run the APDE and open and play the android_fft_minim sketch. Have fun! The project is made with Processing (www.processing.org), and it may need Processing's core api. Processing also allows to run the project in android's emulator. If you want to use Eclipse, you may try to open the all the .pde files in any text editor and copy the code to your Eclipse project. tq for posting this. i really need this. by the way, i dont kow how to transform your code into eclipse. can you post your code using Eclipse? i want build app in android, when user say to something to their device then their device will "lock"
Have you enabled permissions for the phone's hardware you are using? For example if your app has to acess the microphone you have to enable the "record audio" permission. if I root my android, I think I get full access of my android .. I just want to make the application when I say "Lock" my android will "Lock"
on my android, I keep my voice that says "Lock"
so I use FFT only to match my voice that I keep in a voice I say again when I want to lock my android. I hope you will help me to build this application. What are your programming skills? Do you use Processing IDE (www.processing.org)? Have you programmed an android app before? There are already such apps as you want. Just google "android app lock voice"
I am a beginner in programming an android. and I've installed the app, but to no avail. Jhony, unfortunately I'm a beginner too (the app in this post is the first I've ever made), and at the moment I have other projects and no time to spend in programming android apps, sorry. I do not trust the download site since it has converted everything to an .exe. Do you have another place I can use for downloading or send by email? please help me, how can i draw it on android using window eclipse. i dont understand your code to draw it in pde file. 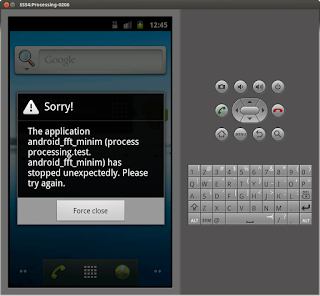 java.ioFileNotFoundExeption: /data/data/com.calsignlabs.apde/app_build/bin/android_fft_minim.apk.res does not exist. what kind of file is that? how can i find it? any suggestions? Are you trying the apk? It is quite old and might not work in newer Android versions. If so, can you please try to use the APDE app, as explained in the last edit of the post (March 13th 2015)? 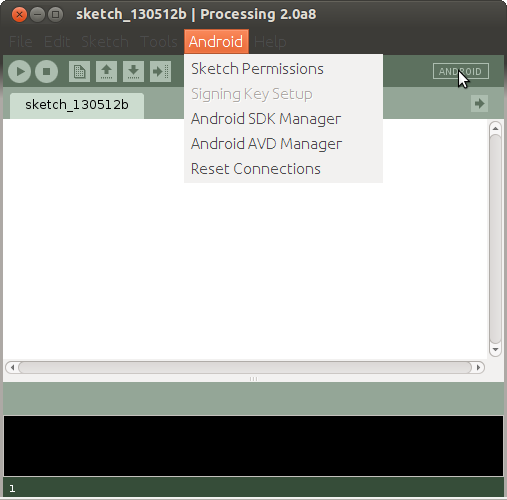 Did you enable the the "RECORD AUDIO" permision for your sketch in processing's "Android->Stetch Permissions" menu option?